Cryptocurrency markets continue to find support near monthly lows. Amidst positive announcements, exchange hacks, and mainstream adoption, the cryptocurrency sector is moving into the public view. At press time, 74 out of the 100 top cryptocurrencies are in the green. Bitcoin, currently ranked #1 by market cap, is up 1.36% over the past 24 hours. BTC has a market cap of $115.51B with a 24 hour volume of $3.72B. Bitcoin is up 1.36% over the past 24 hours. On June 20, Korean cryptocurrency exchange, Bithumb, was hacked for nearly $30 million USD in cryptocurrencies. The Bithumb hack marks the second South Korean exchange hack this month. Coinrail, another highly popular Korean cryptocurrency exchange, was hacked for $30 million USD on June 10. Following the Bithumb hack, Bitcoin transaction fees dramatically rose from $0.55 to nearly $3, with average confirmation time climbing from 6 to 20 minutes. The massive increase in Bitcoin backlog was confirmed to be directly connected with the Bithumb hack — data available via OXT shows Bitthumb overpaying up to 100x on fees in order to consolidate hot wallet capital. The network congestion caused by rapid mid-week consolidation is temporary, but the long-term consequences of the Bithumb hack on the South Korean regulatory environment could produce more stringent restrictions on exchanges. Ethereum, currently ranked #2 by market cap, is up 2.02% over the past 24 hours. ETH has a market cap of $53.74B with a 24 hour volume of $1.53B. Ethereum is up 2.02% over the past 24 hours. 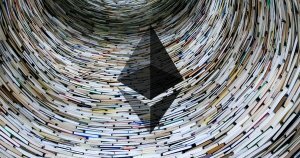 On June 18, 2018, Freedom of the Press Foundation received $540k worth of Ethereum after extending donation options into cryptocurrency. Two weeks ago, Anheuser-Busch InBev brewing company took an industry-forward initiative and launched its first ad campaigns through the Kiip mobile marketing app, which utilizes the Ethereum protocol to record ad data analytics. The Kiip marketing app aims to use blockchain to improve data transparency and prevent mobile ad fraud by making their campaign database available to everyone. The move by the Belgium-based brewing company indicates a step forward in the integration of blockchain for improved efficiency across industries worldwide. EOS, currently ranked #5 by market cap, is up 1.84% over the past 24 hours. EOS has a market cap of $9.43B with a 24 hour volume of $744.77M. EOS is up 1.84% over the past 24 hours. 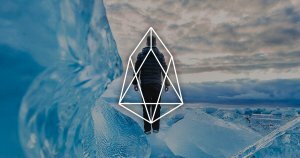 In an effort to protect a number of token holders robbed of their private keys, EOS’ 21 block producers violated the EOS constitution and froze seven user accounts on June 18, 2018. The move by block producers was made through the EOS911 Initiative — a new security protocol designed to recover stolen funds and return them to the victims of phishing attacks. The community’s response to the block producer executive decision was mixed, with some supporting their intent to safeguard user accounts and others denouncing the block producers for imposing on the EOS blockchain’s immutability. A Cornell University computer science professor predicted that the way in which EOS handles security flaws will result in a large-scale exchange hack within the next year. Associate Professor Emin Gün Sirer, notable for launching one of the first Proof of Work-based cryptocurrencies in 2002, made clear that the EOS network vulnerability will enable hackers to capture the hot wallet of an exchange, thereby accessing the EOS within and trade it for other tokens via downstream exchanges. 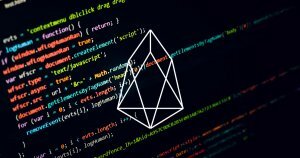 Sirer’s statements appear to be, in part, driven by a bug present within the EOS code that caused the EOS blockchain to suffer from a temporary halt directly after launch. TRON, currently ranked #10 by market cap, is up 3.3% over the past 24 hours. TRX has a market cap of $3.2B with a 24 hour volume of $281M. TRON is up 3.3% over the past 24 hours. 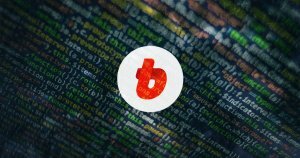 Following their notable mainnet launch, the TRON token swap will initiate on June 21, 2018. The majority of exchanges that offer ERC20 TRX trading are prepared for the ERC20 TRX to mainnet token migration. Several exchanges are supporting the token swap, including Binance, Bithumb, Bittrex, and Coinrail amongst others listed here. Users are advised to transfer their ERC20 TRX into a participating exchange by June 21 for the exchanges to process the token swap. The global cryptocurrency market cap stands at $288.79B with a 24 hour volume of $12.22B. The Coinbase Index is currently sitting at 3200.64. Bitcoin dominance is currently at 40%. Despite exciting announcements and progress in blockchain integration across industries, the cryptocurrency sector continues to endure a bear market. Traders are reminded to remain cautious during market drops and invest only what they can afford to lose.